To seek and find God is everything. It is in seeking God, that we actually find Him. The deliberate movement of our hearts toward God leads us into far more than a simple answer to our need—it leads us straight to Him. We discover God to be an ally whose wisdom is all encompassing and whose power can transform all things with just one look. 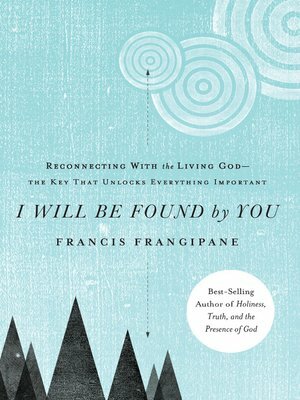 In I Will Be Found by You he shares a collection of some of his best writings on the topic, both old and new, to reveal the key to seeking God and possessing a heart after God—the key that unlocks everything important.